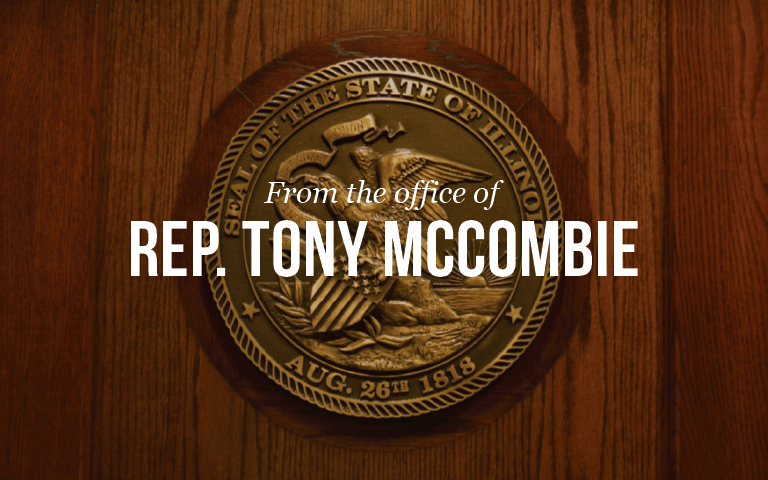 Springfield, IL – State Representative Tony McCombie’s (IL-71st) common sense gun control measure effecting parole hosts is scheduled for a hearing in the Judicial-Criminal committee. “There is a lot of partisan talk about gun legislation in Illinois and across the nation today due to tragic events over the last several years and most recently in Florida. This bill is a common sense approach that may penalize irresponsible gun owners. This piece of legislation will help to keep guns out of the hands of people who have served their time and who are transitioning back into society. This law amendment cannot bring Zachary Phillips or any loved one back, however, it may prevent another tragedy from happening to other families,” said Rep. McCombie. “It is bad public policy to have rules and laws, if there is no way to enforce them or to be disciplined for breaking them”. ‘Zachary’s Law’ is named in honor of 18 year old, Zachary Phillips who was murdered by a young man who did not have legal access to a gun. A troubled teenager growing up, was out on parole for 8 days after serving 17 months for a violent act. His father and acting parole host, signed a parole host agreement stating that he would not have or permit firearms and ammunition in his home while his son was living in his residence. The agreement was violated and the parolee gained access to the legally-owned gun, shot said gun 11 times to kill Zachary and seriously hurt another. Currently parole hosts have to sign a contract, however there is no criminal penalty for violating the agreement. This new criminal offense will The legislation will hold parole hosts accountable to the contracts they sign. It is not popular in Illinois to enhance penalties or create new offenses, however in today’s environment, it is more important than ever to enforce and prosecute those that are not responsible gun owners. This is a non-partisan issue and should have full support as it keeps legal guns out of the reach of those not allowed to have them. HB 4586, also sponsored by Rep. McCombie, which adds protections to DCFS and Adult Protective Service employees from assault, is also scheduled to be heard in the Judicial-Criminal Committee on Monday.